SXSW announced its 2017 film schedule today, bringing with it news that Edgar Wright’s latest, Baby Driver, will be making its world premiere in Austin. 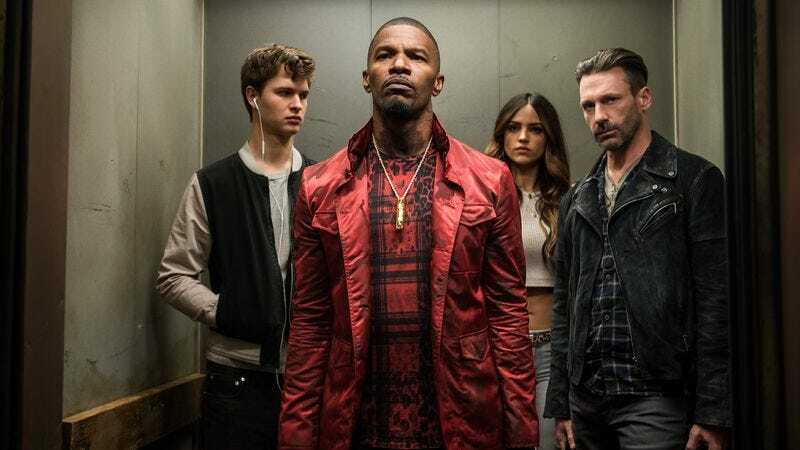 Starring Ansel Elgort as a getaway driver who cues his vehicular escapes to what we’re assuming will be impeccably curated soundtracks, Driver will be Wright’s first film since 2013’s The World’s End (and his subsequent departure from Marvel’s Ant-Man movie). Wright’s latest isn’t the only interesting film with a premiere at this year’s SXSW; Frank Oz has a new documentary, Muppet Guys Talking, in which he and his fellow Henson alumni talk about what working on The Muppet Show was actually like. As previously reported, Terrence Malick will be debuting his latest, Song By Song. And High Rise director Ben Wheatley‘s Free Fire, which stars Brie Larson and Armie Hammer in an arms deal that goes horribly wrong, will be having its U.S. premiere. SXSW kicks off on March 10. You can see the full film schedule—including new movies from Michael Winterbottom, Judd Apatow, and Michael Showalter, and documentaries about everyone from Bill Nye The Science Guy to the world’s most wanted online criminal—over at Deadline.